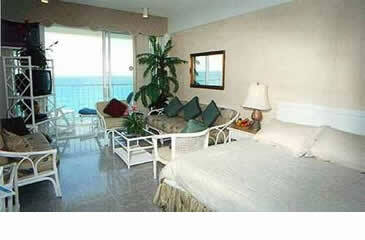 Clean, comfortably furnished condo type rooms make your vacation a pleasure, affordably. The air conditioned guestrooms are fully furnished with a king or two double beds in a combined sleeping/living area and full, private bath with hairdryer. There is color, cable T.V., telephone, an in room safe, and daily housekeeping. A kitchenette with refrigerator, coffeemaker, and microwave adds even more value for your vacation dollar. RECOMMENDATION : The best location and personalized service make the Carisa y Palma, a condohotel, the ideal spot to vacation! Prices are per person per night in U.S. Dollars. • Rates include hotel taxes and fees. • Maximum occupancy is 4 adults or 2 adults with 2 children under 12 years. • The child rate above allows children to share breakfast with their parents whose American breakfast is included in the room rate.